Anna Kendrick on the red carpet of the the 2015 Golden Globe Awards on Sunday, January 11, 2015 at the The Beverly Hilton Hotel in Beverly Hills, California. I have a soft spot for Anna Kendrick. 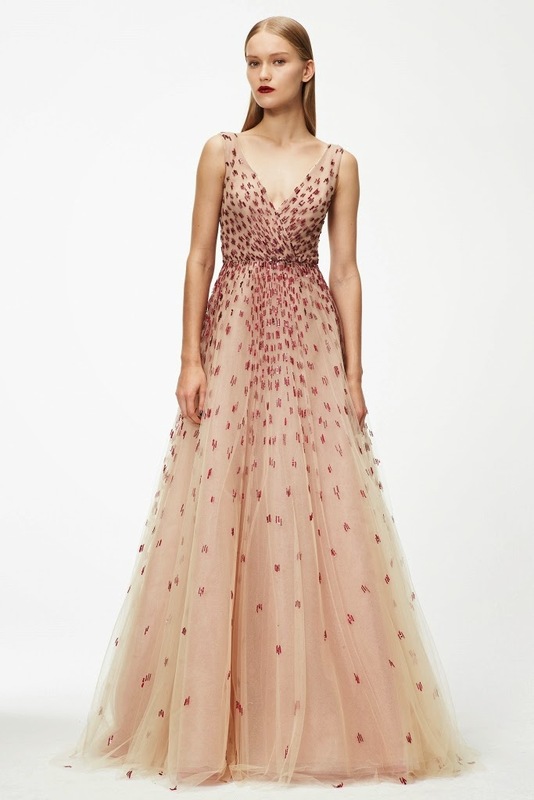 I think she looked lovely in this Monique Lhuillier Pre-Fall 2015 gown. Sadly, the dress is lovely in a non-interesting, boring kind of way. The look, from the Monique Lhuillier Pre-Fall 2015 Lookbook.